This second floor room is on the back of the building. It features a king bed, cable T.V. and large bathroom with a cast iron tub. This third floor room has a double bed, cable T.V. and a large full bath. One window is on the back of the building, while the other faces south toward town and the Church. 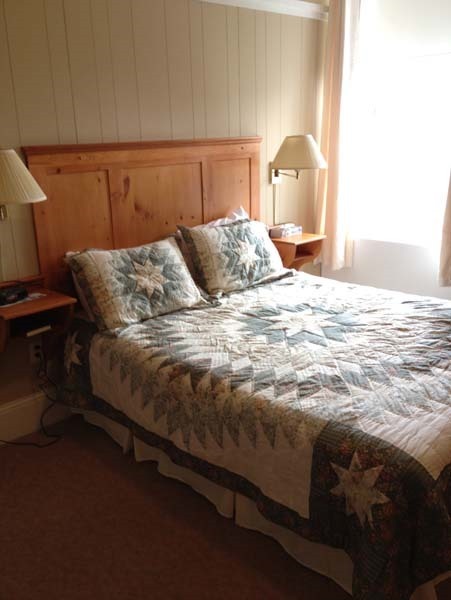 This very spacious third floor room features a queen size bed, full bath and cable T.V. 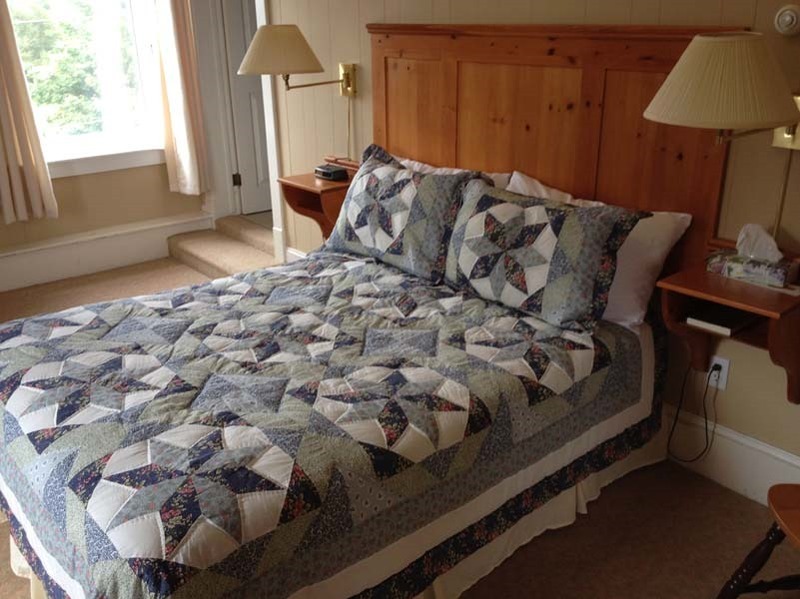 The room overlooks the back of the property and is spacious enough to accommodate 2 cots when required. This third floor room features a queen size bed, cable T.V. and a large full bathroom. The room faces the back of the property and can accommodate 1 cot if required.